Yellow Field And Blue Sky. Spring Yellow Flowers Of Daffodils And A Spring Bright Sky With Clouds. A Typical Dutch Spring Landscape. Lizenzfreie Fotos, Bilder Und Stock Fotografie. Image 100366919. Standard-Bild - Yellow field and blue sky. Spring yellow flowers of daffodils and a spring bright sky with clouds. A typical Dutch spring landscape. 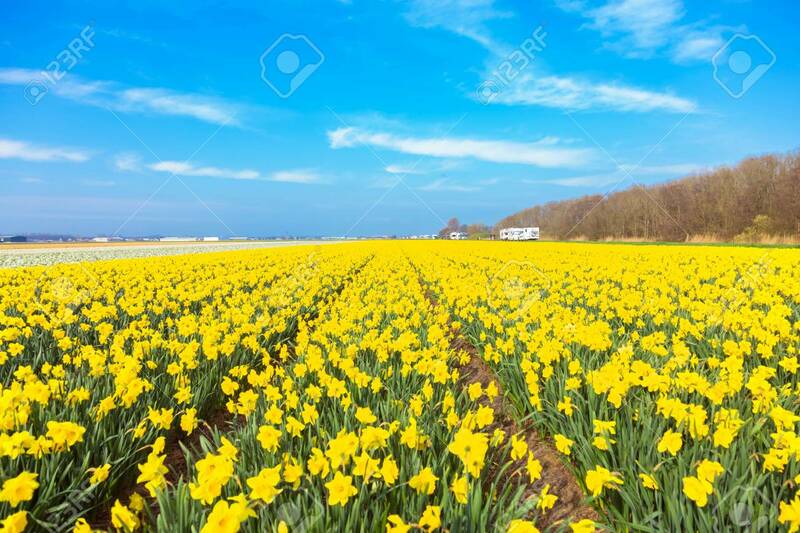 Yellow field and blue sky. Spring yellow flowers of daffodils and a spring bright sky with clouds. A typical Dutch spring landscape.